We know so many online photo editors they can help you edit photo without any software. Makesweet is a this kind of tool that is not edit your photo but make your photo looks cool. 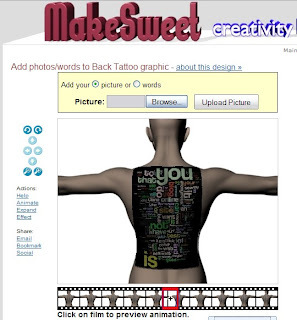 As other online editors, Makesweet is an online tool, you can use it without download any software. It is simple to upload your photo or edit some text, it will make it become a 3D photo. Of course, you can download it and save it in your computer, or post on website/blog. Look these photos below, do they look cool?